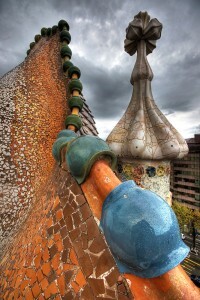 If you are in Spain, make sure you visit: Casa Batlló, Passeig de Gràcia, 43, Barcelona, España. 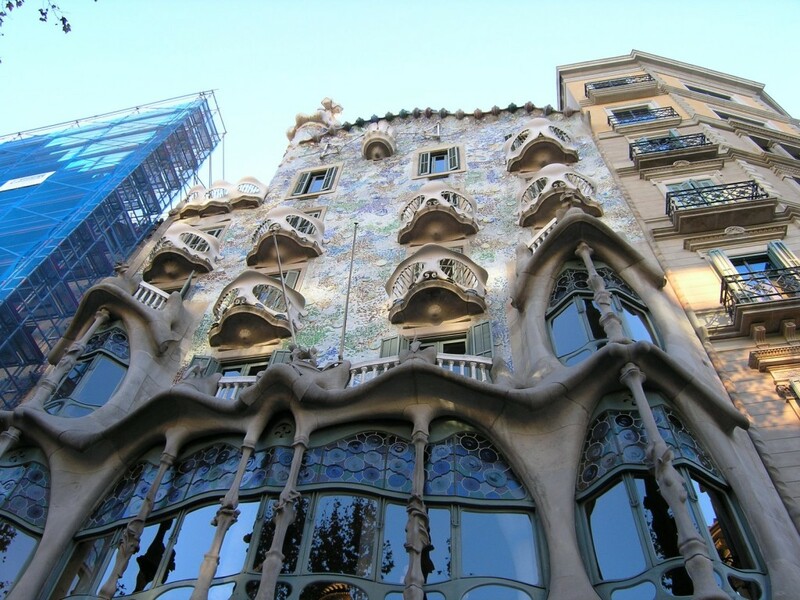 Casa Batlló or Casa dels Ossos (House of Bones) for the locals, is a very remarkable & recognizable Art Nouveau Architecture, renovated by Antoni Gaudí and Josep Maria Jujol, constructed in the late 19th century and refashioned in early 20th century. The building looks like it was made of skulls and bones. It was originally made as a family residence in a thriving area of Barcelona. Gaudí got inspired by marine life and used its colors and shapes. The ground floor is rather spectacular due to the attention to detail that it was given. Most of the facade is adorned with a mosaic made of fragmented ceramic tiles with different color shades. The roof is arched and looks like the back of a dragon or dinosaur. Apparently, Gaudí did not like straight lines. Made in sandstone, the facade of the main floor is reinforced by 2 columns. The design is perfected by carved multicolored stained glass windows. In front of the big windows, there are 6 pillars that look like the bones of a limb, with a central articulation; the truth is that this is a flowery ornament. The rounded forms of the openings and the lip-like ends engraved into the stone adjacent to them looks like an open jaw. This building is fantastic and unique; and must be absolutely visited if you happen to be in Barcelona. 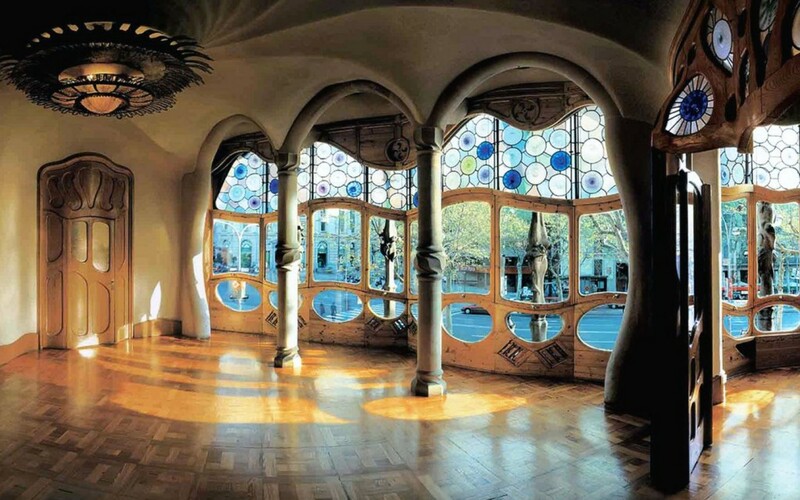 Gaudí spent much devotion to the details on his designs thinking about things like irregular window size in order to keep even lighting settings every each room of the house.